If your property is worth less than what you originally paid for it don’t panic. Here are some things you can do to improve the situation. Help! My property is worth less than what I paid for it. Sometimes you find yourself in the situation where the property you purchased is now actually worth less than what you paid for it. This may be the case if you buy property through a free property advisor and you’ve overpaid for the property. It might happen if you get emotionally attached and overpaid for a property. It might happen if the area that you invest in goes down in value or if you find some sort of fault with your property that cause it to be worth less than what you paid for it. 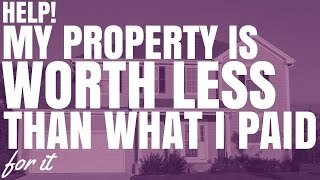 So in this episode, I want to through some of the things that you can do if your property is worth less than what you paid for it. How can you get yourself out of this situation? 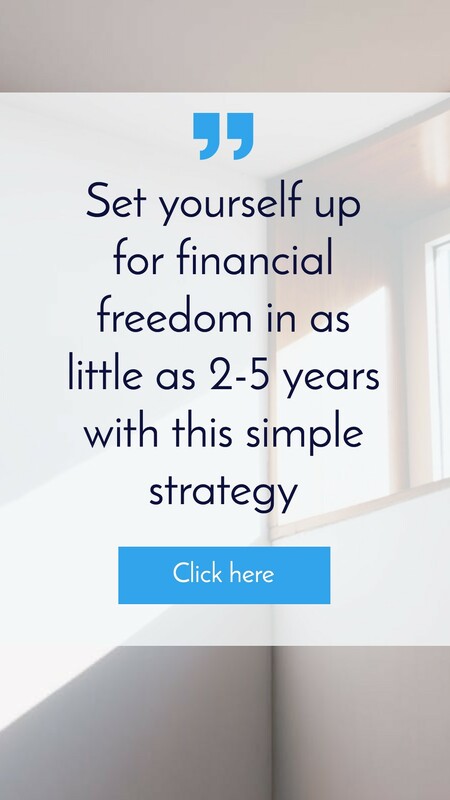 How can you move forward so that you can get towards financial freedom as quickly as possible? Because the fact is, you’ve got a financial goal that you want to achieve. That’s why you’re investing in property. So the goal is always to get to that financial outcome as quickly as possible. 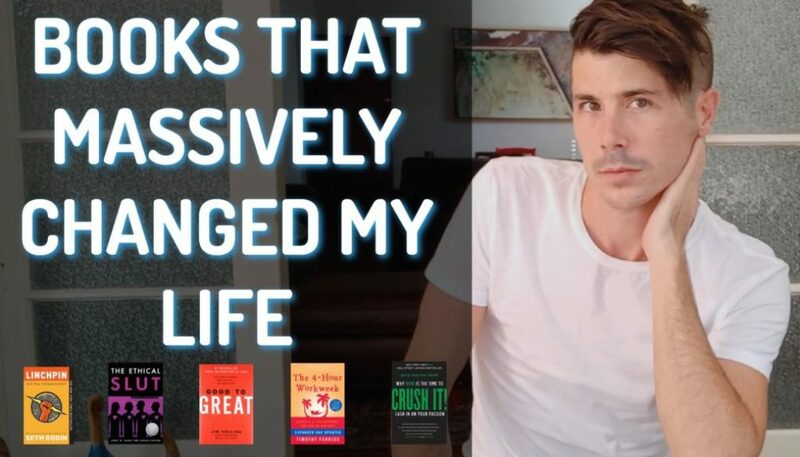 We’re going to explore some different things that you can do if your property’s worth more than what you paid for it with the idea in mind that you want to move towards your goal of whether it be financial freedom or whatever it may be. So, it’s less specific around just the property but it’s more let’s look at your overarching vision of what you want to achieve financially and let’s have a look at some different things that you might be able to do and always keep in mind, how will this move me towards my financial goal? Is it best to do option A or option B or C to move me towards my goal? So always keep that in mind because I know a lot of people do get trapped thinking, I’ve lost money on this. I just need to hold it until make money. Don’t just think about the one property but expand your mind and think about your entire investment strategy. 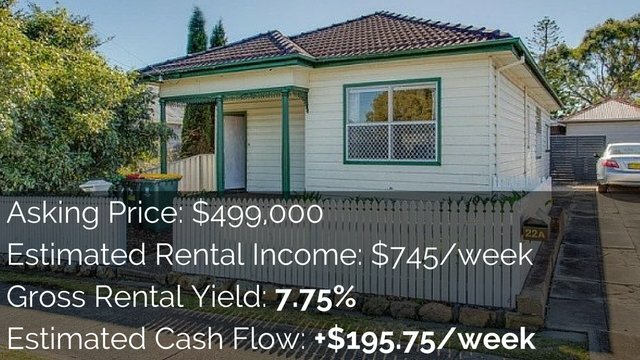 Hey, I’m Ryan from onproperty.com.au. I help people find positive cash flow property and today we’re going to talk about, as I said, what you can do if your property is worth less than what you paid for it. So, the first thing that I think that everyone should do, step number 1 is to realise you made a mistake. Realise that what you did, whether you purchased a property and the area has gone down in value or you overpaid for it or there was something wrong with the property. Just admit to yourself, look, I made a bad financial decision. Something went wrong here. Maybe you didn’t foresee it but just admit to yourself that, look, this has been a mistake. This hasn’t been the financial investment that I wanted it to be. And just be okay with that, alright? We can’t make perfect financial decisions every single time. When we invest in property we are taking a risk. And so you do need to factor that in and just be okay with the fact that this isn’t going to be your best investment ever. You made a mistake, accept that. And now we can move forward to start working, well how can we get ourselves out of this situation. What I don’t want people to do is just stick their heads in the sand, think this wasn’t a mistake. Look, I’m just going to wait it out and I’m going to make money over time. The most successful property investors that I see are property investors who are actively involved in growing and maintaining their portfolio. So let’s not stick our head in the sand, let’s admit we made a mistake and let’s look for a solution to that mistake. Step number 2 is to then assess the market that you’re in. Has your property gone down in value because the market has gone down in value? And is the market tanking and will it continue to go down in value? Because depending on your situation, if it’s not actually the market that’s gone down in value, or if the market’s gone down but stabilised, that’s going to change the decision you make than if the market is falling and falling fast. Because if the market’s falling and falling fast, you might want to consider getting out now, cutting your losses. Because otherwise, 2 years or 1 year, the property’s going to be worth even less. And so, by holding it, you’re just losing and losing and losing money. So, assess the market, try and determine whether the market is tanking or if it’s going to continue to go down. I like to look at the next 5 to 10 years and to see, what is this market going to look like in 5 to 10 years? Obviously, we’re trying to predict this, or even 2 years if you got a shorter time frame. But looking ahead and say, well, is this market going to recover? Because that’s going to affect your decision. Alright, step number 3 is to determine if you’re going to get any money back. So if you purchased this property and you put down a deposit, if you go ahead and sell this property, will you actually get any money back? So, will you get money put in to your account is what I’m trying to say. Not will you make money on this property because we know it’s worth less than what you paid for it. But will you get any money back at all? Will you get $1,000 back or $10,000 back? And this will depend on how much deposit you’ve put in to the property and real estate fees and things like that. But basically, to work it out, you need to work out, okay, what is my loan left on the property? How much can I sell this property for and then what are the fees I’m going to have to pay? So, basically, it’s how much can I sell this property for? Minus your mortgage and then minus the fees you have to pay. Does that leave you with any money? And the reason that this is important is because if it leaves you with money, well, then you have a decision to make. Because you now have a certain amount of money in this property that you could be investing elsewhere. 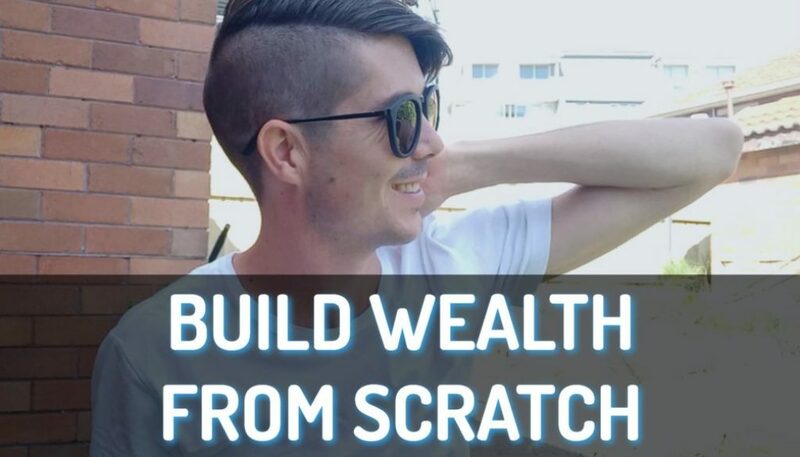 You could take that money and invest it in another property or invest it in the bank or invest it in the stock market and you could potentially more money from that than keeping it inside the property that you have. So if you’re going to get money back, then you need to weigh up, well, if I get this money back and invest it somewhere else, will I make more money than if I keep this property and do what we’ll talk about in the next steps? So that’s something to think about, will you get money back and could that money be invested elsewhere in a better situation that’s going to deliver more returns and move you towards your goal faster? Because if you’re going to sell the property and you’re going to lose money but you can hold the property and not lose money, well then you’re going to be more inclined to hold the property than you are to sell it. But if you can sell the property and get some money back to re-invest, well then that gives you kind of more options to work with. Step number 4 is to try and make the property positive cash flow. If you decided that you’re not going to sell the property and you’re going to hold on to it, the last thing you want to be doing is continually losing money on a property that’s worth less than what you paid for it. You would like to get yourself into a cash flow neutral or a cash flow positive situation where the property’s not costing you anything to hold or the property is at least making you some sort of money. Now, in order to do this, you need to try and reduce your expenses and you also need to try and increase your income. The fastest way to reduce your expenses for most people is to actually consider switching from a principal-and-interest loan to an interest-only loan. This will reduce your cash flow requirements on the property and increase your chances of being positive cash flow. You also need to consider if there’s other ways to reduce your expenses like maybe get a property manager who doesn’t charge you as much or shop around for your insurances or your water rates or things like that. Or get the tenant to pay for water themselves. There are things you can do to reduce those expenses to help you move to that cash flow-neutral or positive cash flow situation. You also will want to look at ways to increase your rental income. So, how can we make our property worth more to the renter? Does it mean a minor renovation? Can you add in a dishwasher or a washing machine and dryer? Or is there something that you can do to the property to increase the rental value of that property. So, try and get to that positive cash flow situation, if possible. So, even though the property is less than what you paid for it, it’s still making you a positive return. Step number 5 is to see if you can manufacture growth out of the property. Now, making money through renovation or through subdivision or through development doesn’t only have to happen in a market that is going up in value and it doesn’t only have to happen on properties that are worth more than what you paid for them. If your property is worth less than what you pay for it, maybe there’s a way that you can manufacture growth to get it back up to what you paid for it or even get it beyond what you paid for it. We’re talking about renovations. Cosmetic renovations can do great things to improve the value of your property. You could consider subdividing your block; this is going to cost you an investment in order to get that subdivision done but would that then be worth more than what you paid for it all up? Or is there some development that you need to do; maybe you want to add an extra room or you want to add some more living area or you want to add a deck or something that is going to expand the property and add more value to the property. Depending on the area the property is in and the market that you’re trying to appeal to will vary how you try and manufacture this growth. Renovation, subdivision and development are very common things that you can do to try and manufacture that growth. Just because it’s gone down in value doesn’t mean you can’t get it back up to what it was worth or even further if you can manufacture some growth and be smart about what you do with the property. And step number 6 is to see if you can manufacture some cash flow from the property. And by this, I mean doing renovations or creating a dual income from the property or building a granny flat on the property. 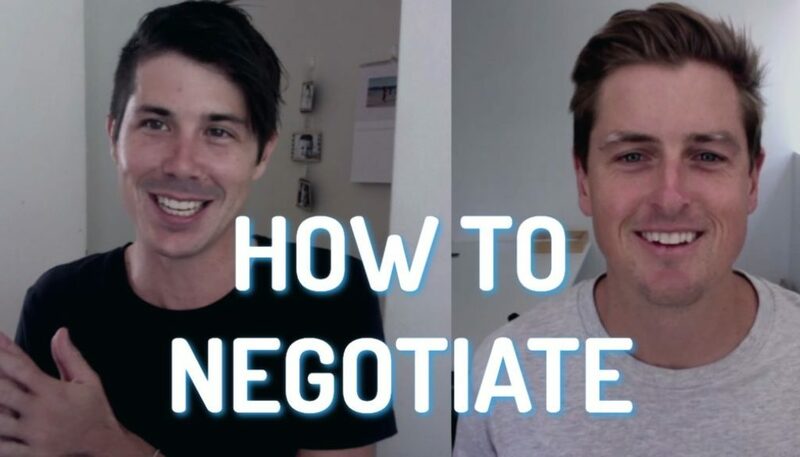 A lot of situations, your property may be negatively [inaudible 9:15] but if it’s in an area where properties are quite expensive and rental income is quite high for that area, investing $100,000 or so in order to build a granny flat out the back. This is easy to do in New South Wales and you can do it in the other states as well. Not every state so check you local laws. But if you could build a granny flat out the back and rent that out, maybe the property’s not going to be worth more than what you paid for it but it could mean that you’re getting a positive return through positive cash flow. 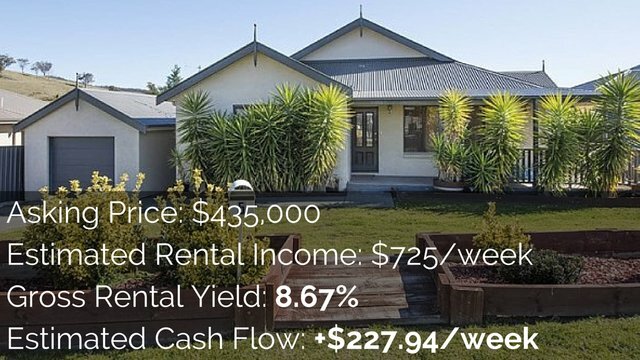 So, are there ways that you can manufacture cash flow from this property by building a granny flat, creating a dual occupancy situation where you split the property in half and you rent out half to one person and half to another person. Or maybe you can rent it out room by room to uni students, or something like that, so you can get a higher return. Is there a way that you can manufacture cash flow for this property? Because even though it’s worth less than what you paid for it, maybe you can get that positive cash flow return. So there’s some things that you do if your property is less than worth less than what you paid for it. First thing was to realise you made a mistake. It was then to assess the market; because if the market’s tanking, maybe you want to get out now or if the market’s stabilising, maybe you want to hold on. Project yourself 5 or 10 years ahead and see what’s going to be happening and the make your decision based on that. Step number 3 was to determine if you’re going get any money back and if you are, can that money be invested better somewhere else? Step number 4 was to try and make the property cash flow neutral or positive cash flow. So you’re still getting a return even though the property isn’t worth what you paid for it. Step number 5 was to see if you can manufacture some capital growth through renovation or development or subdivision. And then step number 6 was to see if there’s ways that you can manufacture cash flow through creating a dual occupancy or building a granny flat or doing a renovation to the property. So, just because your property is worth less than what you paid for it doesn’t mean you should give up hope, doesn’t mean you should just leave the property and wait for it to go up in value. Be an active investor, do things to improve the value of your property and get yourself out of this situation, if possible. I hope that this has helped you. I’m Ryan McLean from onproperty, I help people find positive cash flow properties. You can check me out by going to onproperty.com.au. And until next time, stay positive.